In recent months, I have discovered that I really like making my own food staples. Sure, it would be a lot easier, and not terribly more expensive, to buy them at the store. However, when I make it, I know what goes in it (no secret chemicals or preservatives here!) and it just plain tastes better. Blake likes to say that it was made with that most special of all ingredients - love - which makes anything taste better. I don't make everything from scratch . . . yet, but I'm pretty proud of what I've started making routinely so far. Nothing seems terribly complicated or difficult, at least to me, so it's pretty easy to whip together when I have some down time at home. The first thing I started making to replace a frequent purchase is bread. The recipe I have is only one hour start to finish and really tasty. We learned the last time I made it that it works out a lot more successfully when you remember to add the yeast. Blake even took a turn making this once and it turned out great! It's especially yummy with the strawberry freezer jam I made. Another favorite is salsa. I've adapted a recipe from my mother-in-law and Blake and I both really, really like it. Her recipe calls for specific brands of canned stewed tomatoes, but I stew my own tomatoes. Admittedly, that's a little complicated, but after tasting this salsa, it's worth it. We also make our own refried beans in the Crock-pot. It's six ingredients and an all day process, but with our immersion blender, I don't think it could be any easier. We make a batch of these every few weeks. Homemade chicken stock is also really easy, and I like that I am in better control of how much sodium is in there. Answer: no added salt. Now, it may not be a staple, but I also like baking cookies. This weekend is malted whopper chocolate chip cookies, thanks to some leftover Halloween candy. 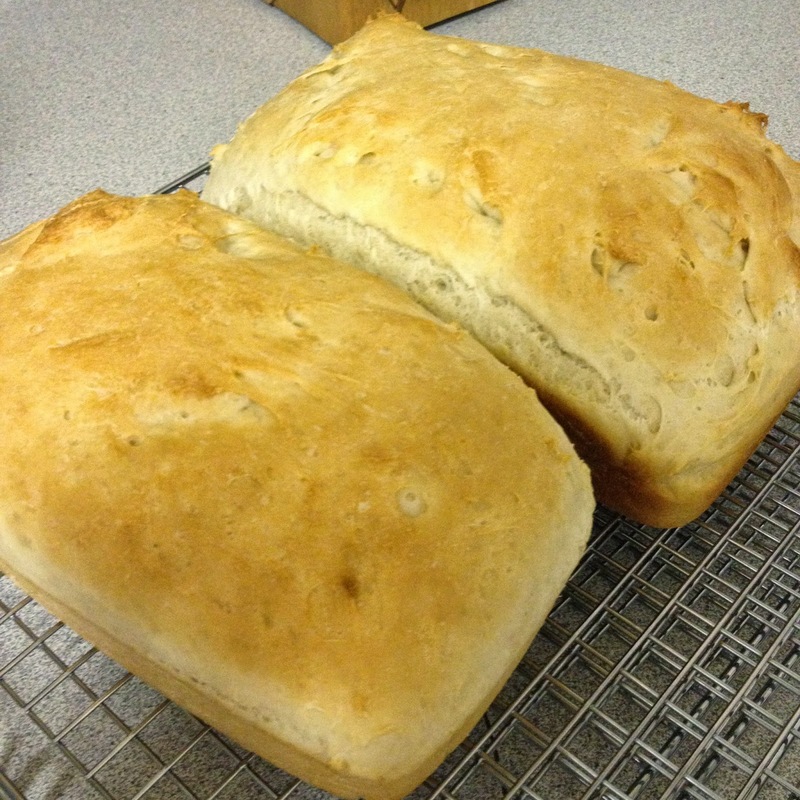 I also plan to make some more bread and salsa this weekend. I look forward to figuring out what other traditional staples I can replace with homemade! I'd love to eat only homemade bread, but I'm not at that stage of life and it's a little unreasonable in the summer months here (although if I ever got a solar oven, that would change). We make our own black beans. I'd love to make our own salsa. 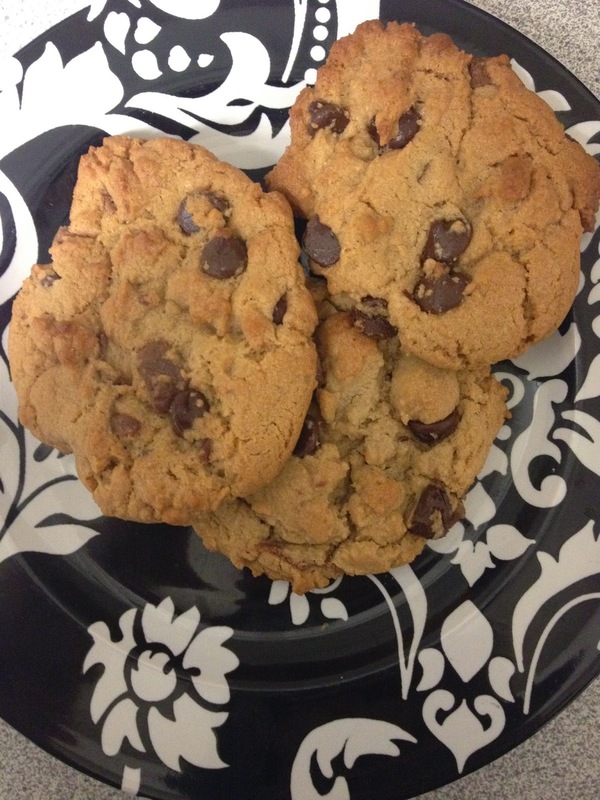 And cookies are just always better when they're homemade. Cookies SHOULD be a staple.